If you would have told everyone here at Akins Ford near Athens, GA, back when the first new Ford Explorer was released that we’d one day be selling a hybrid version of the Ford Explorer – well, we probably wouldn’t have known what you were talking about because hybrid vehicles weren’t a thing back then. But if you had told us that once hybrid vehicles were starting to become more popular, we still probably would have thought you were crazy. 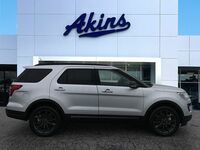 But here we are, eagerly awaiting the arrival of the all-new 2020 Ford Explorer Hybrid at Akins Ford. And when we say we’re eagerly awaiting it, we mean it. 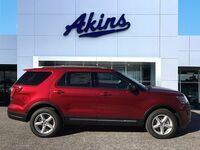 Never before would we have thought a new Ford Explorer Hybrid model was even possible, let alone it featuring over 300 horsepower and a driving range that extends beyond 500 miles, but that’s what we’re getting. 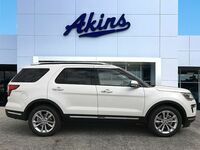 And we can’t wait to get behind the wheel of it this summer right here at Akins Ford near Athens, GA.
We gave you some enticing hints about the hybrid powertrain of the all-new 2020 Ford Explorer Hybrid in our introduction, so let’s now take a closer look at its one-of-a-kind hybrid powertrain. We already told you that it will be able to pump out over 300 horsepower – a combined 318 horsepower, to be exact. 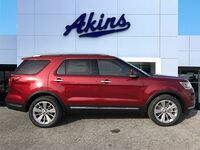 We also told you it will take you on the ride of your life for over 500 miles at a time. 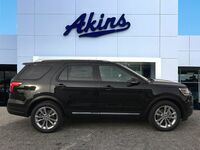 That means all that’s left to tell you about is the fact that the 2020 Ford Explorer Hybrid’s powertrain includes an impressively powerful, capable and efficient 3.3-liter engine. 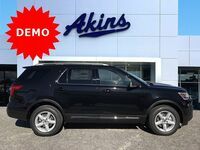 There’s more to the 2020 Explorer Hybrid than just its impressive combination of power, capability and hybrid efficiency, however. 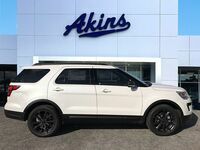 That’s because the 2020 Explorer Hybrid also boasts impressive new features such as Active Noise Cancellation capabilities, the Ford Co-Pilot360 Assist+™ safety and driver assistance suite, comfortable leather seats, heated seats, wireless charging technology, and a B&O premium sound system that itself features 14 speakers. 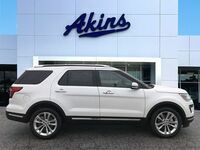 If you’d like to learn more about everything the 2020 Ford Explorer Hybrid can do, please contact our staff here at Akins Ford near Athens, GA.